1 Million Transactions in Microsoft Dynamics GP? No Problem! We have a customer in Rocky Hill, Connecticut in the financial services industry that processes 100,000 payables transactions a month - that is over 1 million a year! And all your finance people out there will know that one million AP checks actually generates two million AP transactions PLUS two to four million General Ledger transactions.And it is no problem for their Microsoft Dynamics GP accounting system to keep up with the volume! We have another client that is a staffing firm that processes about 2000 payroll checks a week. They use Microsoft Dynamics GP back office connected to Bullhorn front office and processing is a breeze. Can your accounting software do that? When researching financial management systems, transaction processing speed and system scalability are important criteria. You need to know your new system will be able to easily handle existing transaction loads, and manage significant increases as your business grows. Last year Microsoft published this report: Microsoft Dynamics GP 10.0 Benchmark Performance White Paper: 1,000 Concurrent Users with Microsoft SQL Server 2005. This white paper documents testing for running Microsoft Dynamics GP 10.0 with 1,000 constant concurrent users, all engaged in heavy transaction processing . It reports on a sample customer environment processing more than 2.6 million business transactions (with a total of 8.3 million transaction line items) within an 8-hour workday. It also shows results of testing of a year-end payroll run for 30,000 employees, with Microsoft Dynamics GP completing a full year-end payroll processing and reporting scenario in 11.2 hours. Whew! And this year it gets even better! Microsoft just released this new SQL 2008 Performance Benchmark White Paper (download it here) that shows how Microsoft Dynamics GP 10.0 showed an 18% increase in performance by upgrading from SQL Server 2005 Enterprise Edition to SQL Server 2008 Enterprise edition. So if you have a high transaction volume, and your accounting system is just not keeping up, check out Microsoft Dynamics GP. 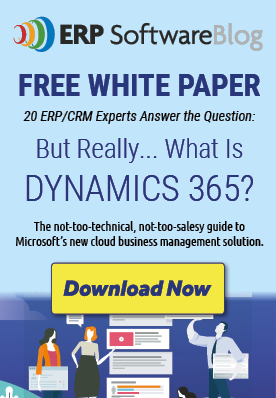 Should You Wait For the Release of the New Microsoft Dynamics GP “11”? Microsoft Spent Over $8 Billion on R&D in Fiscal Year 2009! Wow! That is amazing. Great information. I would venture to guess that many accounting software apps couldn’t do that many transactions without substantial customizations.